Dimensions 0.25 by 5.50 by 9 in. Ten short stories by the Hugo and Nebula Award-winning author of Neuromancer deal with a human memory bank, UFOs, sleep machines, interstellar travel, a Soviet space station, and computer crime in such works as 'Johnny Mnemonic' and the title tale. Reprint. About: Ten short stories by the Hugo and Nebula Award-winning author of Neuromancer deal with a human memory bank, UFOs, sleep machines, interstellar travel, a Soviet space station, and computer crime in such works as 'Johnny Mnemonic' and the title tale. 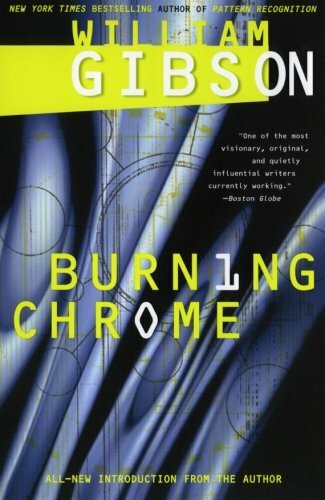 About: William Gibson's dark visions of computer cowboys, bio-enhanced soldiers of fortune, and hi-tech lowlifes have won unprecedented praise.